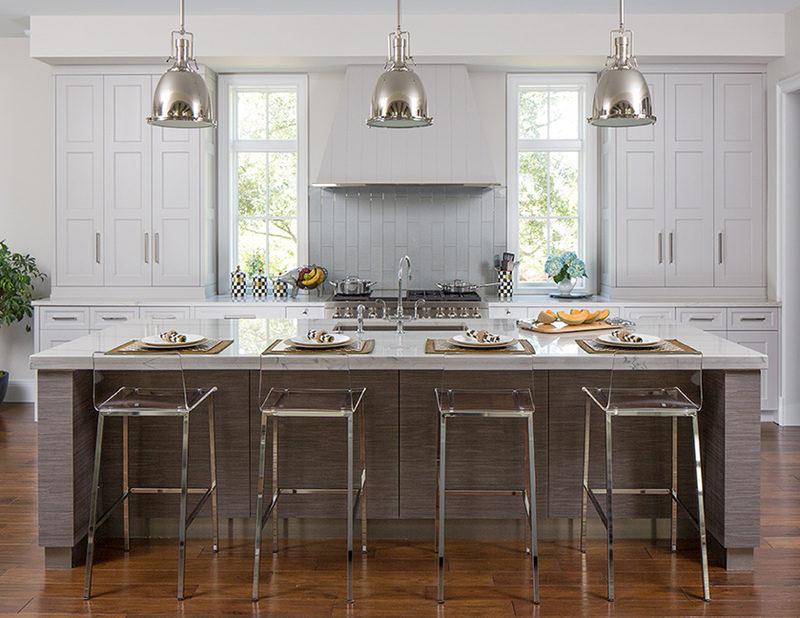 The kitchen in this new home is situated amongst the breakfast room, family room and outdoor living area. Designer Keith Gegg of Gegg design & cabinetry used clean lines and unique materials that keep the space interesting without giving up functionality. The palette is light gray with metal accents. To achieve the look, a custom gray paint was added to the special door style and frameless cabinet construction. The simple tapered hood design is trimmed with polished stainless steel and flanked by two tall, narrow windows that allow light to stream in. 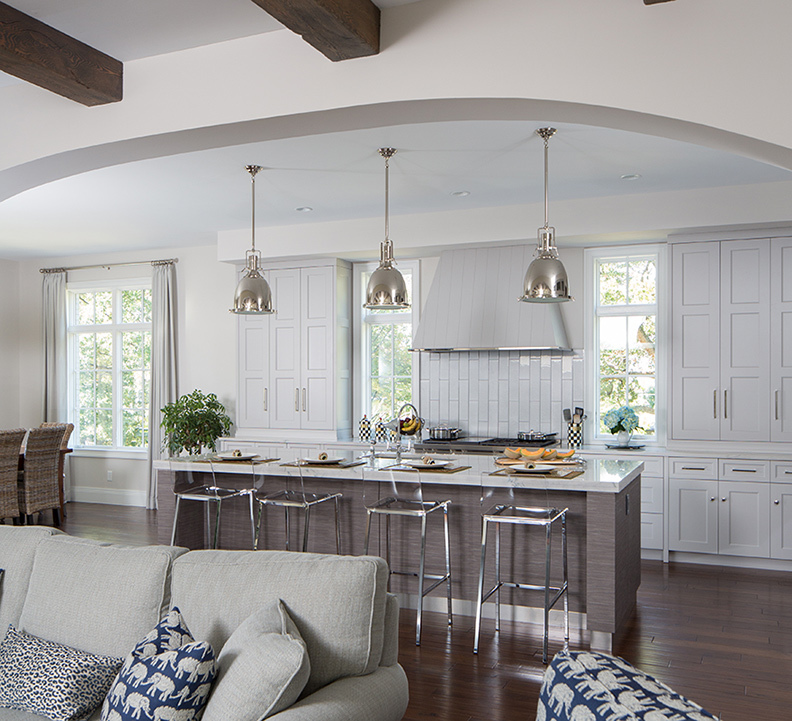 The expansive island is characterized by a textured laminate door and panels, which complement the light-gray painted cabinets. A brushed stainless-steel toe around the perimeter of the island creates a break between the semimodern material and the traditional wood floor. The refrigerator and freezer drawers are concealed with a panel built into the wall and flanked by two matching pantry cabinets for more storage. The kitchen extends into a butler’s pantry that connects to the formal dining room as well as a bar centrally located in the home and perfect for entertaining. The mix of materials is fantastic in the comfortable, yet sophisticated kitchen. The open layout is functional. Extending the cabinets to the height of the windows makes the space feel grander.